We drove by at right before closing on Saturday evening, just to make sure we knew where the restaurant was. It turned out we knew exactly where it was. Our second apartment after we got married was across the street. The Red Elm Cafeis right next to where Brown's Star Grill was and opposite the old K Street Theater. When we returned Sunday morning my first impression when we walked through the door was, "Wow, this place is huge," but this was an optical illusion. The Cafeis long, but not wide and tables are at a premium. There are chairs and couches, but places to sit down and eat at a table are few and far between. There is a play area for young children and a meeting room that could accommodate sixteen to eighteen people. This seems to be an odd mixture. 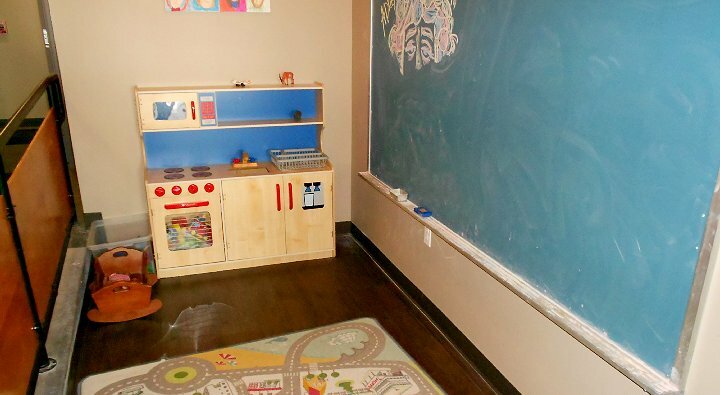 The owners are two sisters, so perhaps they need to have their children nearby, but if I was having a business discussion in the meeting room, I don't think children playing a few feet away would be conducive to idea sharing. I was happy to see gluten free offerings on their menu. From the advertised prices, I want this place to succeed. When my friend was served his breakfast sandwich, this became doubtful. My buddy picked on one slice of toasted bread on his sandwich to reveal a tired looking combination of scrambled eggs and very flat bacon. I could hardly wait until my sandwich arrived. I was vastly disappointed as well. For sandwich comparisons I like to use McDonald's. "McDonald's Buttermilk Crispy Chicken Sandwich features a chicken breast filet marinated and battered with buttermilk and a blend of spices including black pepper, garlic, and onion powder served with tomato, leaf lettuce, and mayonnaise on an artisan roll." The cost is $4.69. 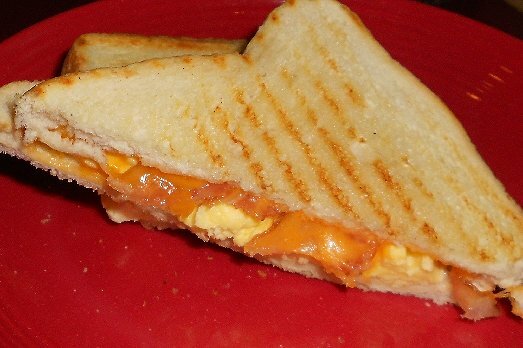 The bacon, cheddar, scrambled egg sandwich on dry sourdough toast is $4.25. Perhaps, the sandwich from Red Elm is healthier, but Peg thought it was too salty. Besides being dry, I thought it needed a few shakes of pepper. For the difference in taste, I would drive the few blocks towards town to Tacoma Avenue and McDonald's. All four of us were happy with our waffles. Extremely happy. One was gluten free and the others were regular. Each came buttered (a minimal amount). I asked for double the amount as did Peg and would have liked more. Again, location is a problem for the Red Elm. The Original Pancake house is located and Sixth and Pine. Their pancakes are thinner by half, but you can buy real eggs and bacon, or sausage to go along with your waffle. A few blocks northeast is the Hob Nob, whose waffles are comparable, but cost $8.99. The waffles at Red Elm are $3.75 or $4.75 (GF). 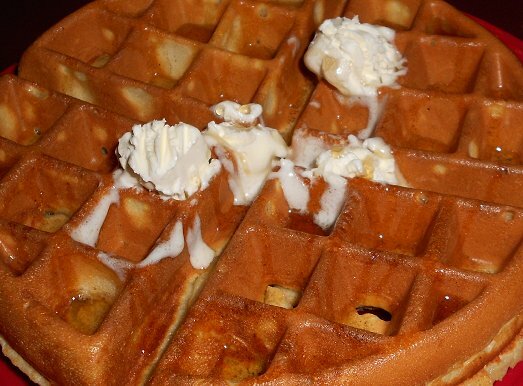 If all you want is a really good waffle at an excellent price, then the Red Elm is for you. I have a cousin in Detroit and each time she returns home to the Tacoma area, we are like Donkey in "Shrek." "And in the morning, we'll have waffles." For around $40 we can have ten waffles "to go" and we'll add our own butter, bacon, eggs, hashbrowns, and maple syrup. 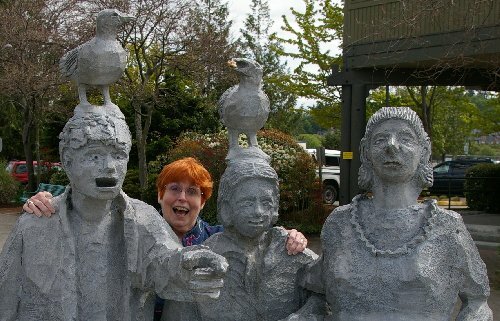 Or Peg and I could do the same thing on a smaller scale for just twelve bucks. I'm hungry already. 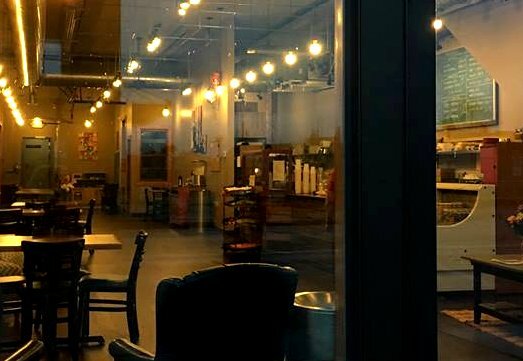 It looks like the Red Elm has decent prices for tea and coffee, so this might be a great location for people to stop by on their way to work downtown and get a beverage to go or to enjoy in a comfy chair, but the kiddie playroom, still bothers me. I hope the Red Elm survives and prospers. We'll be back to check on them and encourage them. Red Elm Cafe Review - 2017, Red Elm Cafe Tacoma, Red Elm Cafe Review - 2017 Tacoma Washington WA.